Produced water can be defined as the intensive and complex mixture of organic and inorganic compounds produced plenty while the production of the oil & gas from the reservoir. The quantity of the produced water from the wells various exponentially for the conventional sources of energy like oil and inversely for the unconventional source of energy like coal bead methane gas during the lifetime of the well. This water needs to be treated in order to be disposed or to be reused for the injection purposes. Multiple technologies are present for this treatment like membrane filtration technology, thermal technologies etc. 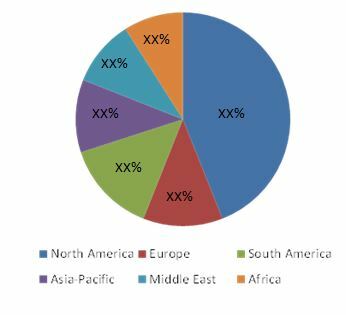 The Produced water treatment market grew considerably in the recent past and will continue to grow at a decent rate globally with Asia-Pacific, Middle East, and European markets on a higher positive front. 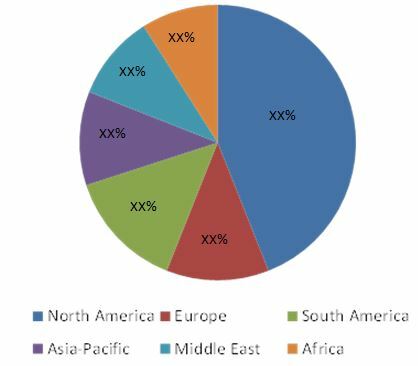 Each region has been analyzed with respect to its market trends, growth, and future prospects in terms of the Produced water treatment market. This report basically aims to estimate the global market for Produced water treatment from 2014 to 2019. The global Produced water treatment market size is estimated to exceed $8.0 billion by 2019. The major factors responsible driving the growth of this market include the energy sector growth in Africa and the Middle East along with, increasing strictness of environmental policies. The North American region remains the largest market for Produced water treatment. The recent shale gas developments in the U.S. have pushed the explorations activities in the region thereby increasing the market. The Middle East and Asia-Pacific market continues to be the key growth area due to increasing awareness and shortage of fresh water in the countries like China and India. Membrane technology is recent and upcoming technology used for the water treatment. Membranes are the micro porous films with specific pore ratings which selectively separate a fluid from its components. The report considers two types of the membrane technologies- polymeric and inorganic. The report analyzes the Produced water treatment market for different regions. The report also provides a market overview of Produced water treatment by different treatment types. Among these services, membrane treatment technology is the evolving and the upcoming technology which is highly advanced and effective. For this report, the major players in the market are identified through secondary and primary research, based on which their market shares are evaluated. This includes a study of the annual reports of top market players and interviews with key opinion leaders such as the CEOs, Directors, and marketing people. The market revenue for various types of water treatment service providers are determined and evaluated using primary and secondary research. The market data is available from 2012 to 2019 with a CAGR from 2014 to 2019. With the increase in the environmental policies and the growing concern for the water table in the region with the scarcity of the fresh water like China and India the produced water treatment market is expected to swell in the upcoming years. With the extensive shale discoveries in the North American region for which the water treatment services are of keen importance the market is expected to soar in the forecasted years. The produced water treatment market is estimated to cross a mark of $8.0 billion at a CAGR of around 5% from 2014 to 2019. Produced water can be described as the complex mixture of the organic and inorganic components mixed in the formation water which exist in the reservoir along with the oil & gas and is produced with the extracted oil & gas. Chemically this water is slightly acidic and needs to be treated before reinjection into the in or disposing into the river streams. The water produced contains several impurities like dissolved and dispersed oil components including BTEX (Benzene, Toluene, ethylbenzene and xylene), PAHs (polyaromatic hydrocarbons) and phenols. This water is treated and is re-injected to increase the productivity from the well since the water act as the pushing force for the oil & gas up to the surface. Various treatments technologies are used to process this water out of which some are membrane technology, thermal technology, physical separation, chemical treatment etc. Potential increase in recoverable resources and increased shale exploration activities has resulted in the increase of the produced water pushing the market up to several billions in the last decade. The demand of such services are high in the fresh water shortage countries like India, China, and are expected to be the attractive markets for the produced water treatment service providers. Both types of the well facilities, Onshore and Offshore utilize the produced water treatment facilities. The North American is the largest market for Produced water treatment services, owing to the extensive shale drilling and exploration activities. The Middle East and Asia-Pacific region is also one of the attractive markets for the treatment services. Currently, North America dominates the produced water treatment services market. This dominance is seen mainly due to continuous and large increment in the U.S. exploration and production activities. The new and unconventional hydrocarbon recovery and its growth are important reasons for the growth of the treatment services market. North America has the highest market share because of stringent environmental regulations in the region. Table 1 Environment Regulations In The U.S. Figure 22 Declining Oil Production In U.K.